The role of the artist in a society where human rights are denied is a recurring theme On An Overgrown Path. As I write Maria Farandouri sings To Yelasto Pedi from Mikis Theodorakis’ sound track for the 1969 film Z (poster above). 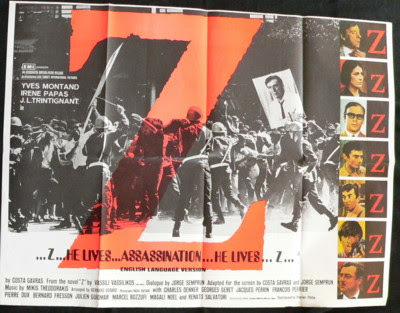 This legendary film was a barely fictionalised account of the assassination in 1963 of the Greek socialist politician Gregoris Lambrakis MP, and the film and its soundtrack, became an international symbol of opposition to the Greek military junta. This dictatorship savagely suppressed human rights until its overthrow in 1974, and brought tanks onto the streets of Athens, as is shown below. The junta was established in April 1967 when right wing army colonels led by George Papadopoulos seized power under the pretence of preventing a communist takeover. The dictatorship received the initial support of King Constantine II, although the King went into exile in December 1967 following the failure of a counter-coup. The King had failed to win support from the US who regarded the military junta as an ally against the nearby Eastern European Soviet bloc. With the Colonels firmly in power human rights were denied, political parties were outlawed, and opponents imprisoned, with Amnesty International estimating that more than 2000 prisoners were tortured. Symbols of western youth culture were banned including rock music, long-hair and atheism. Mikis Theodorakis was no stranger to opposition and the political left. He had worked in the resistance against the occupying Italian and German forces in World War 2, and was exiled in the subsequent Greek Civil War. After these conflicts he studied music at the Athens Conservatoire, and in Paris with Olivier Messiaen. 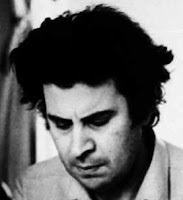 Following the military junta in 1967 Theodorakis (below) went underground, and his music was banned by military decree. He was imprisoned for five months until an international pressure group including Dmitri Shostakovich, Leonard Bernstein, Arthur Miller, and Harry Belafonte achieved his release, and he went into exile in April 1970. Theodorakis continued his opposition in exile through concerts and by enlisting the support of international leaders, and his sound-track for Z became a rallying call for opponents of the military regime. The film, which was directed by Constantin Costa-Gravas, was hugely important in drawing attention to the junta’s denial of human rights, and I remember it as one of the cult films of my post-university years. 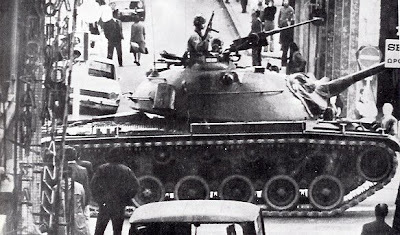 Following the suppression by tanks of a student uprising at Athens Polytechnic in November 1973 (seen in the photo above) popular opposition to the junta gathered momentum. Papadopoulos was overthrown by General Dimitrios Ioannides, who then unsuccessfully attempted to depose the President of Cyprus. This debacle triggered the collapse of the Greek military junta, and democracy was restored with elections in November 1974. Greece lies on the edge of the Middle Eastern political fault line, and the cataclysmic upheavals in the region since 1974 mean that the dark days of the Colonel’s rule are now largely forgotten. 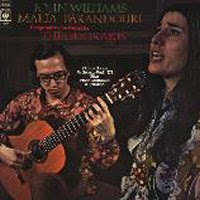 The CBS LP of Theodorakis’ music played by John Williams and sung by Maria Farandouri, and including the Theme from Z, was part of the soundtrack of my life in the 1970s. Seven of the songs are settings of Greek translations of poems by Federico Garcia Lorca, while the Theme from Z sets words from the verse-drama 'The Hostage' by the Irish writer Brendan Behan. Maria Farandouri left Greece in 1967 when the junta banned Theodorakis' music, and she sung in more than 300 protest concerts around the world. The recording was made by legendary CBS staff producer Paul Myers, and my vinyl copy still sounds quite wonderful today. But by the time the LP catalogues were being transferred to CD in the late 1980s communism was collapsing and the Greek junta was ancient history, so Songs of Freedom didn’t make it onto CD in the major territories. But Theodorakis remains a folk hero in Greece. He was nominated for a Nobel Peace Prize in 2000, and opposed NATO’s involvement in Kosovo and the invasion of Iraq, and has been very critical of George W. Bush. More controversially he was also been critical of Israeli Government policies under Ariel Sharon, and this led to accusations of anti-Semitism. Mikis Theodorakis’ continuing high profile in Greece thankfully means that Songs of Freedom remains in the Sony catalogue in that country, albeit sadly without the original beautiful sleeve art which is reproduced above. But in a chilling timewarp the original English sleeve notes are retained for the CD version, so they read as though the Colonels are still in power! It is available online from the splendid Studio52 in Thessalonika; my copy arrived speedily and cost €12.50 plus shipping. Songs of Freedom is a classic of the gramophone. 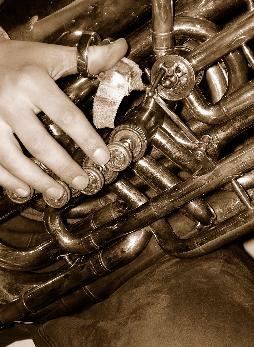 It contains very moving performances by two very fine musicians. But more importantly, it is living proof that creative artists have an important role to play when human rights are denied. Now read about Mikis Theodorakis' Requiem. "But more importantly, it is living proof that creative artists have an important role to play when human rights are denied." We ALL have an important role to play in combating injustice, making the world a better place, or whatever you want to call it. When presented with such situations, whether dire or mundane, I think it is incumbent upon "creative artists" to be realistic about where their efforts will be make the most impact. In other words, those who possess exceptional celebrity might have the ability to make a significant contribution to the cause through the creation of a new work, yet the vast majority of artists, no matter how talented, would be wasting their time making art in order to combat repression. That the possession of said "celebrity" so often has little or nothing to do with said "talent" is lamentable, but there's not much we can do about that.